The logo of the English Standard Version of the bible is a seal inset with an elegant monogram which evokes officialdom, veracity and trust along with a little pizzazz in a move designed to showcase the strengths of the translation while drawing on the equity of the ancient book. Using a quirky, stylized symbol to represent the rugged, irreverent nature of the company's identity, Mongrel Boots' mark is quintessentially Australian logo. There's something very pleasant and homely about the logo of Cindy Crawford Style - a partnership between model, Cindy Crawford and U.S. retailer, J.C.Penney - which combines a simple but elegant CC monogram with soft pastels in an appeal to homemakers and housewives. Drawing from the happy memories of simpler times and simpler places when fresh lemonade was sold on the corner, Country Time Lemonade's logo is rich in evocative imagery whose associations are both pleasant to the mind and pleasant to the taste. 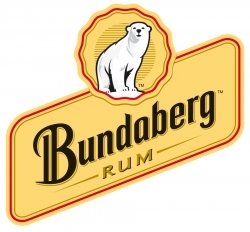 Bundaberg Rum's iconic polar bear adorns its wax seal which along with its use of slanted germanic text lends the logo a sense of class, tradition and modern sophistication which the hard liquor market tries to convey in an effort to encourage a high minded view of consumption. The yellow logo doubles as a bottle sticker which, when set against the deep brown color of its rum creates a striking impression.